The brake system is a vehicle is made of hydraulic and friction brakes assemblies and it is the performance of its individual parts that gives the drivers a control over their car. The hydraulic brake assembly collectively converts foot pressure hydraulically, which is then used by the system to operate the friction brakes. A network of rubber brake fluid hoses within the assembly act as fringe unit for the hydraulics. The brake fluid from a tank passes through these hoses and lubricates the different parts of brake system. The brake fluid is essential to make the system organized and consistent. 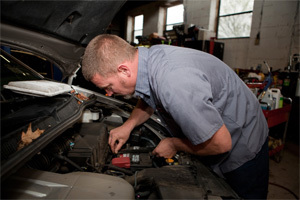 Take help of Autozone Protect Your Investment to take good care of your vehicle. You can increase vehicle life expectancy with tips from Autozone and learn how to keep the brake systems in good condition. In cars supported with a power brake system, brake booster enhances the hydraulic brake assembly and offers assistance so as to make the brake pedal less hard. The friction brakes are responsible for retardation in the car motion and work on the principle tightening the rotor. This technology has been used on the cars in the formative days but today, the technology has advanced a lot. There are two types of brakes: the drum brake and the disc assemblies. While the Disc brakes are used to control the front wheels, the drum brakes are employed for the rear. When we look at those amazingly stylish cars, we just focus on their exteriors, interiors and the engine. It is time we paid due importance to one of the other supporting systems like brakes. The car could be a very dangerous place to be in and almost non functional if the brakes are not in good working condition. So, next time you look at a car, spend some time understanding the brake systems and how to take good care of them.